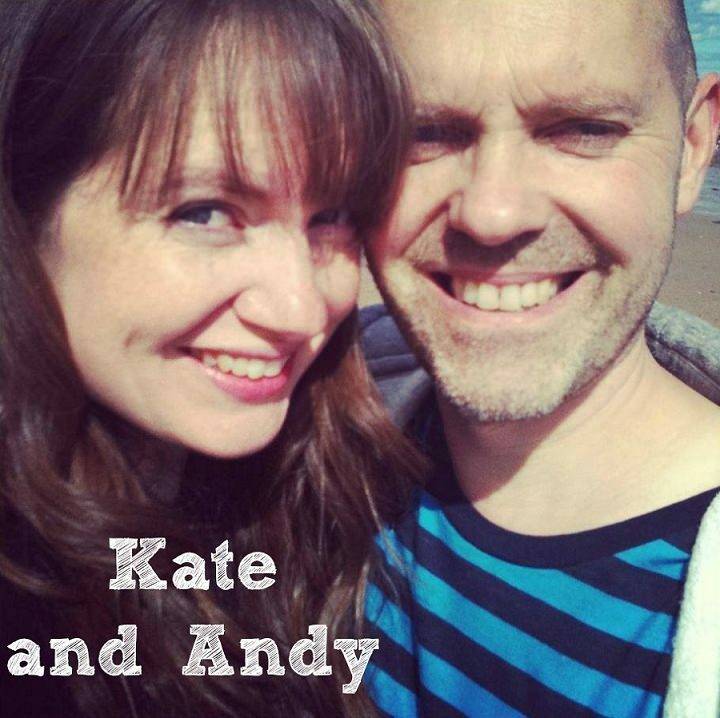 I’m delighted to welcome back Kate to the blog today. Last time Kate talked about the interesting topic of her dream wedding Vs her reality wedding, which seemed to resonate with quite a few of you. Wedding expectation are high when you first get engaged but then the reality of what you can and can’t achieve can sink in once the planning process is underway. Today Kate is talking about the Pros and Cons of a DIY Venue and again it is another interesting discussion. 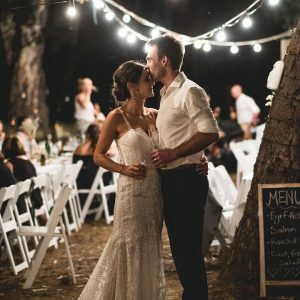 I’d love to hear what you have to say on this subject and if you are planning on a DIY venue or have a more traditional venue booked where everything is done for you. Back in 2002 my best friend got married and I was her bridesmaid (she is now going to be mine! ), but for her, there was never really an option to have her wedding anywhere else but a hotel-type venue where you had a choice of a very limited menu, and all you really had to think about was the colour of the sash on the chairs and what favours you put on the table. 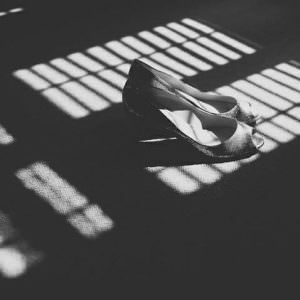 She would have loved to have done it ‘differently’ but that was just what you did – no one thought that there was any other way to have a wedding. How things have changed. And in that respect I am so glad I waited to get married (I’ll be 37 by the time I am wed which I guess is quite old to be a bride, even though I don’t feel it!). The world really is your oyster now, and many people are choosing alternative places to get married. 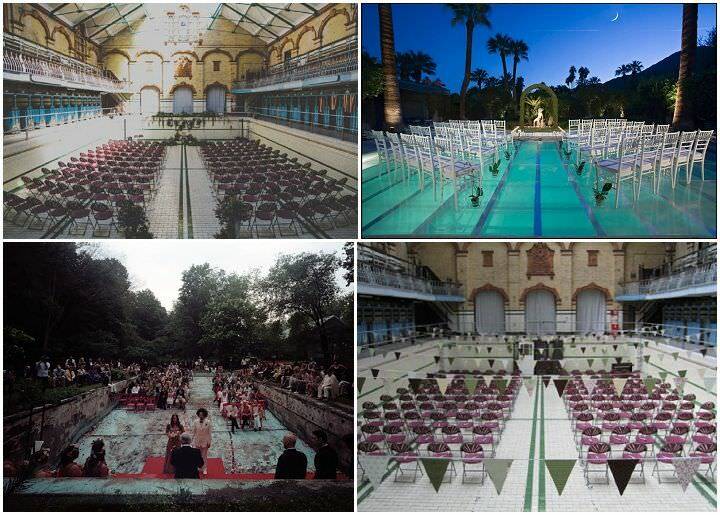 Think theatres, unused swimming pools, empty warehouses and in the middle of the woods! There are still the ‘traditional’ venues with their wedding ‘packages’, but for me it was never a consideration – I have an image in my head that I can’t shake off and it includes a dark patterned carpet, huge swathes of curtain fabric (complete with pelmet of course), ceiling tiles and stark lighting that look like an office, and bows on the back of chair covers. It is just not me. I wanted somewhere that allowed me to arrange everything. Does that make me a control freak? Or may be I just know what I like, and if there’s ever a day when you can be particular, then it’s your wedding day, right? I initially wanted a barn wedding, and we found one just outside York which was perfect (Barmbyfield Barn, near Pocklington) – a completely empty space ready for us to put our own stamp on the place. However, financially it just wasn’t viable for us, so we then started looking again. In the end we realised that travelling slightly further from home might be the answer, and suddenly my bridesmaid’s family home became the perfect place. There is a beautiful room overlooking the amazing gardens which showcase her parents’ bronze sculptures. And they have hosted a couple of other weddings there so we knew it was doable. And of course, we could arrange everything ourselves with no restrictions – decision made! You can choose your own caterers, thereby avoiding the huge expense that many venues charge. As I have found out, outside caterers seem far more reasonable than in-house ones. At one venue we looked at (which after initially telling us that it was a ‘blank canvas’ proceeded to say that there were only two caterers we could choose from! ), gave us a quote of £40 a head for the most basic BBQ you could think of, and that didn’t even include a dessert or drinks. The caterers we have since chosen (www.dimblebeecatering.com) are charging approx £15 per head for a far better menu. You can supply your own drinks – with no corkage charge. We are very lucky that another of my bridesmaid’s parents live in France for half the year, and have kindly agreed to bring a fair few bottles of wine back with them! This will cover the reception and in the evening we’re asking guests to ‘bring a bottle’ – hopefully that’ll ensure we won’t run out! Some venues do allow you to bring your own booze, but then charge what I believe to be an extortionate corkage fee – we were quoted £6 per bottle by one place! How do they get away with it?!! The entire ‘look’ of your wedding day is decided by you. By this I mean, YOU get to choose the chairs and the tables, the tablecloths, the napkins, etc etc. Minor things for some people may be, but very important for me! You can set up a few days before. Now I can understand that this is probably not a ‘pro’ for some people, but I am really looking forward to setting everything up – the table settings, the flower arranging, the styling of the dessert table and the hanging pom-poms/lampshades etc. I love doing all that! If you pick a Saturday in a busy time of year, then some venues will have a wedding every Friday, Saturday and Sunday, meaning that there are only a few hours on the Saturday morning to set up – but that’s when I’ll be doing my hair and make-up! I would hate not to be able to style my own wedding! It is all on your shoulders, and this may lead to stressful times with so many things to organise! On the day, this may affect how much you enjoy it (which is why I can understand how valuable an ‘on the day coordinator’ could be!). In theory, more could go wrong. With so many suppliers providing their different services, who haven’t been to your venue before, there are more chances for things to go not quite as planned! An unusual venue may not have a wedding licence. This doesn’t stop you having a ceremony (at least I don’t think so) but it won’t be legal. A friend of ours will be doing our ceremony, which we will write most of, and then the legal part will be done another day. For us, this makes the ceremony even more personal and the legal side of it is just like the ‘paperwork’. Overall then, the pros definitely outweigh the cons for me, but I can completely understand that other people would see it differently. A wedding is about the love of two people, and the ceremony that joins them together in marriage, but hang on, it’s also about the personalities of those two people, and therefore it should represent them in every way – for people who love to create things, style things, and make things look pretty, surely they should be allowed to do this on their wedding day too? So I throw it out to you – what do you think? A ‘package’ where it’s all ‘taken care of’, or complete control over every minor detail? 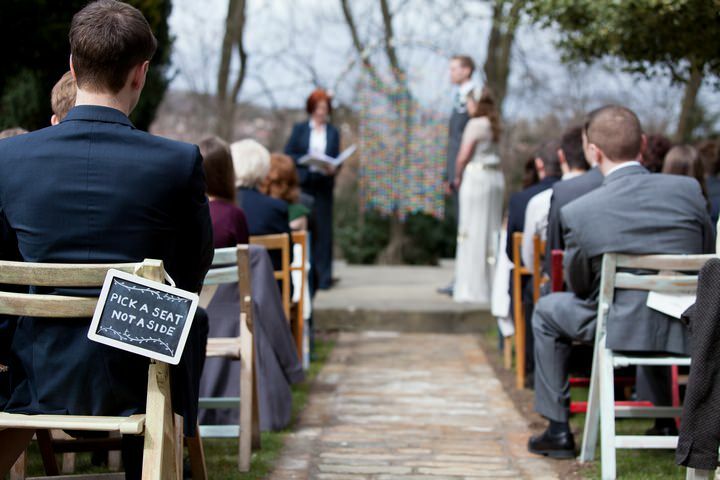 My answer is – it’s your wedding, so do it your way, whichever way that may be! Hi Kate! There’s me in your last picture – wooop! :) Good for you for choosing your DIY venue, I’m biased but obviously think they’re great. My advice would be DELEGATE. It really doesn’t have to be all on your shoulders. 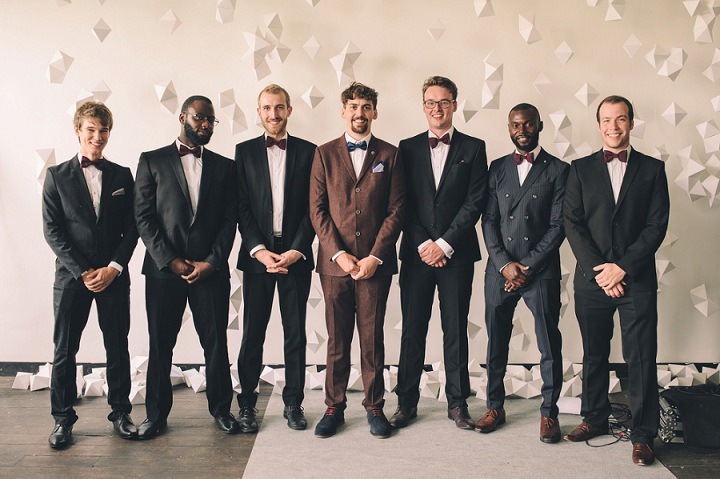 If you don’t want to ask friends/family to handle the day there are people you can ask with wedding experience who will come and manage/coordinate all or part of the day for you – as you say. Sounds like you’ve chosen just the right place to suit you, can’t wait to hear more about it ! Great post from Kate, we had a lovely wedding arranged totally by us and it was fabulous, would definitely go DIY again! Really great insights Kate. I really love how more and more brides are trying to find alternative diy wedding venues for the setting to tell their love story. It’s really the perfect environment to showcase like you said the couples personalities without feel restricted. It sounds like you’ve made a good decision. 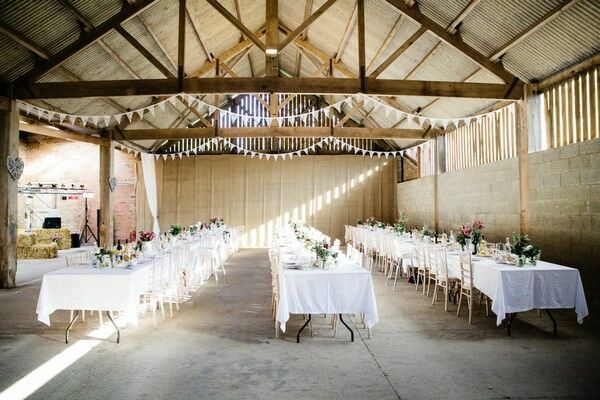 We also fell in love with the idea of a truly DIY wedding and we booked Barmbyfield Barn in Pocklington back in March. 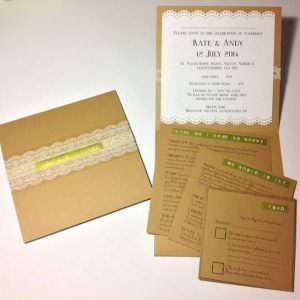 I am absolutely loving designing my perfect wedding but it is really hard work. My advice: Don’t leave anything until the last minute. If you want certain tables and chairs, book them now! They get booked up extremely quickly. We’ve had to go for second best which is a little frustrating but hopefully we’ll pull it off! Firstly if 37 is old there really is no hope for me as I will be 49 when I take the plunge! My daughter married in August and it was the classic fairytale church wedding followed by a beautiful reception at a traditional venue. It was perfect for her but completely cemented that it was not what we wanted for ourselves! So having hosted my sister’s reception in my garden we are now thinking of having our own there too. It is second time around for me but first time for ‘im and he is so laid back and fun loving, stiff and starch really won’t do. We are currently torn between at home or Whitstable’s lovely lobster shack on the beach. One thing is for certain, we will have it how we want, relaxed, bbq or fish and chips and fun! 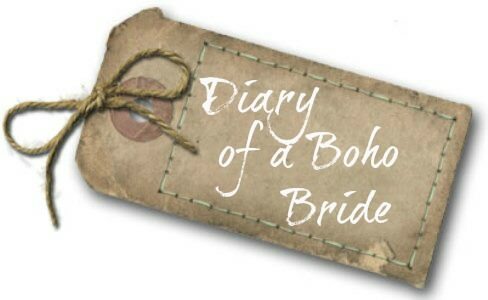 We are not having a best man or bridesmaids and reading your blog has made me think I can involve my nearest and dearest by asking them to help things run smoothly. I am thinking master of drinks, coordinator and I am sure I can think of lots more! Now to work out what an old girl is going to wear! Good article. I had a DIY wedding so that I could have the look that I wanted & to keep on top of our wedding budget. It was a lot of hard work but well worth it. Exhausting though!